Out of the 20 players heading off to Singapore, the best 8 experienced players were hand picked to compete against the best DARTSLIVE league players from around the world. 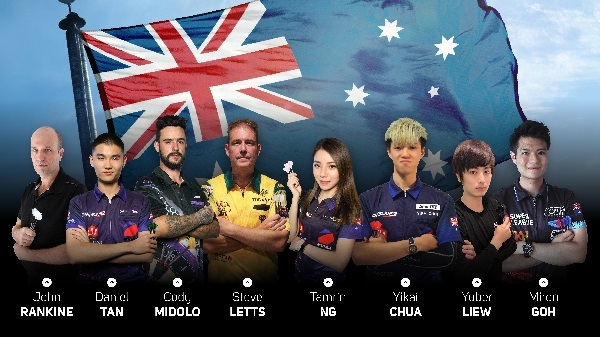 Combining strength, skills and spirit, our best 8 will carry the Australian flag with pride at the SLWC event on Day 2 of the DARTSLIVE Open Singapore (DLOSG) event held from 30th Mar - 1st April 2018 at Max Atria (Singapore Expo). The team will posting daily updates of their activities and competition progress from Singapore on our Facebook page: i Darts Australia. Do show your support, encourganging comments and click LIKE on the posts. Let's bring home the medals, trophies and great memories!.